A diamond edged full eternity Micro Pavé set with a matching set of Round Brilliant cut diamonds. 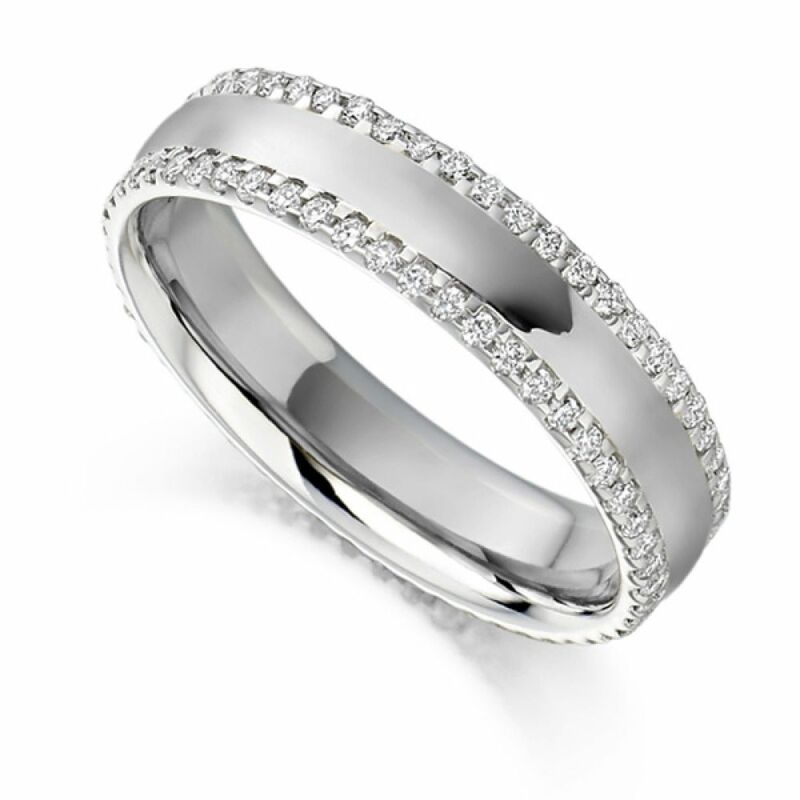 This contemporary Eternity Ring features a modern style with Pavé Set Round Brilliant Diamonds outlining the edges of the band. The band can also feature two tones if selected in Yellow or Rose Gold. There are a total of 0.55 carats, all Diamonds have been expertly matched and precision set as well being graded F/G in Colour for brilliant whiteness and VS Clarity for incredible purity. Delivered to your door by secure courier in a matter of 3-4 weeks, available in a range of precious metals including 18ct White Gold, 18ct Yellow Gold, 18ct Rose Gold, 950 Palladium and 950 Platinum.